I am responding to the message you left with JLHT, in respect of source information about the Oxford Canal. Sadly, there is no handy map – it’s something we pondered as part of the Project, but have had to put off until later this year – but you will find maps in the Nicholson’s Cruising Guide to the whole canal, for instance. 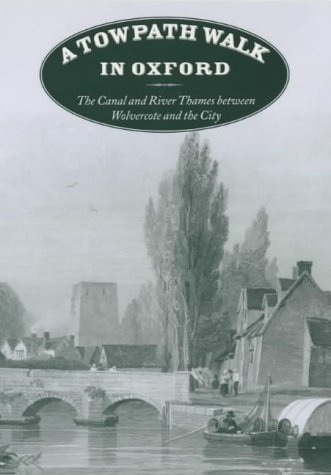 As for information, I imagine that you will find my own book A Towpath Walk in Oxford helpful, as too The Oxford Canal by Hugh Compton. Both are available from the library, along with other titles that you may find helpful. 2.30pm, Sunday 27 April 2014, The Jam Factory, 27 Park End Street. Free illustrated talk, one hour including questions. From the industrial origins of the Oxford Canal to its modern leisure-based revival, artists have have provided an invaluable supplement to the historical record of Oxford’s resilient ‘half-town, half-country’ waterway. As part of the Oxford Canal Heritage Project, Oxford local historian Mark Davies will expand on the varied themes revealed in two centuries of paintings, drawings, and engravings, including traditional narrowboat decoration and artwork related to more recent campaigns to save the Canal and its facilities from closure. I’m also off to Oxfordshire Newsquest HQ later this week to scour their archives for Oxford Canal based stories – looking forward to that!